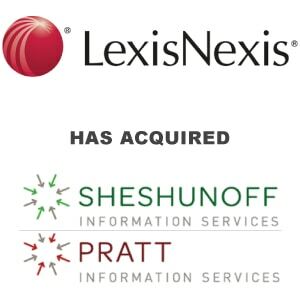 LexisNexis Acquires Sheshunoff and A.S. Pratt - Berkery, Noyes & Co., LLC. NEW YORK — (BUSINESS WIRE) — LexisNexis® Legal & Professional, a leading provider of content and technology solutions, today announced that, together with Reed Elsevier Properties SA, it has acquired the acclaimed publishing brands and businesses of Sheshunoff™ and A.S. Pratt from the Thompson Media Group. Financial details of the transaction are not being disclosed. Both collections will continue to be offered in print format. Additionally, LexisNexis intends to enhance the value of these critical titles by offering them through digital channels, including as eBooks and online. The acquisition of Sheshunoff and A.S. Pratt is part of the LexisNexis commitment to continuously enhance and expand its legal and business content in targeted areas, enabling customers to work more efficiently and confidently, and achieve better outcomes for their businesses and clients. 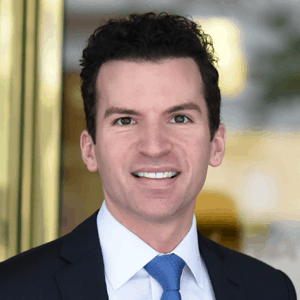 Recent key acquisitions in the past year include the addition of Law360® legal news and Knowledge Mosaic® securities content and services in 2012 and Oxford University Press intellectual property titles in March of this year. LexisNexis Legal & Professional is a leading global provider of content and technology solutions that enable professionals in legal, corporate, tax, government, academic and non-profit organizations to make informed decisions and achieve better business outcomes. As a digital pioneer, the company was the first to bring legal and business information online with its Lexis®and Nexis® services. Today, LexisNexis Legal & Professional harnesses leading-edge technology and world-class content, to help professionals work in faster, easier and more effective ways. Through close collaboration with its customers, the company ensures organizations can leverage its solutions to reduce risk, improve productivity, increase profitability and grow their business. Part of Reed Elsevier, LexisNexis Legal & Professional serves customers in more than 100 countries with 10,000 employees worldwide. Reed Elsevier Properties SA is a center of excellence within Reed Elsevier for the management, development and protection of intellectual property. Reed Elsevier Properties SA owns a range of databases, publications and trademarks which include The Lancet®, Reaxys®, PharmaPendium®, Targetinsights™ and World Travel Market®. Such assets are owned and protected by Reed Elsevier Properties SA and used under license. Both the Sheshunoff and A.S. Pratt collections are offered through Sheshunoff Information Services, owned by Thompson Media Group. Sheshunoff™ has been serving the information, knowledge, and training needs of financial institution professionals for more than 35 years. It leads the market with its actionable guidance in the areas of regulatory compliance, eLearning, operations and management, providing a wide array of books, training, newsletters, web libraries, and work solutions by the country’s foremost experts in the financial services industry.